The word 'festival' might make you think of loud music, heavy drinking and giant Yorkshire puddings, but not all festivals are created equal. We've put together a guide to five truly different festivals for you to consider this summer, some in the UK and some in mainland Europe. Take a look – you may find the relaxing, fun summer holiday you've been searching for! Make the most of the May bank holiday at this wellbeing and fitness festival set in the beautiful Pembrokeshire National Park. There's everything you'd expect and more, with over 200 events, classes, workshops, activities and talks taking place over four days. The variety of the workshops is it's biggest draw; try spoon making, foraging, paddle-boarding, cookery, alternative therapies or gin cocktail making, to name but a few. The setting is absolutely stunning, with views over the Cleddau Estuary and lush green fields for miles around. It's in Lawrenny, Pembrokeshire, and tickets start at £39 a day. Every year for one long weekend, Ballinlough Castle near Dublin transforms into a bustling village of arts, music and relaxation. This year's theme is alchemy and transformation. Enjoy live music, immersive theatre and spoken word performances then take time to visit The Sanctuary – a therapy tent with therapists, sound healers, masseuses and yoga teachers to meet your relaxation needs. 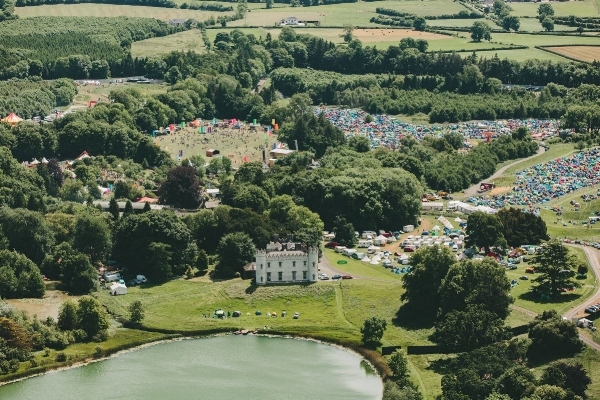 It's held in County Westmeath, Ireland, and the price for a weekend pass (including camping) is €199. For an intimate but laidback retreat, the island-wide festival of Obonjan is just right. It's a small festival that operates over three months, so you can stay for as little or as long as you wish. There are daily yoga classes, talks on technology and philanthropy, beach parties, film screenings, water sports such as kayaking, paddle boarding and paragliding, stargazing and an island spa. It's held on Obonjan Island, Croatia, and prices start from €114 per night. Hosted by the Arsha Kula Foundation, the World Yoga Festival is the largest family-friendly yoga festival in the UK. It brings together some of the best yoga and meditation teachers from around the world. It offers dancing and music performances, as well as loads of vegetarian and vegan food. It's held in Reading, England, and a weekend pass including camping is £149. Merging music with wellness, this festival has a different approach to wellness. In the day you can take part in yoga, pilates, fitness and meditation workshops, then in the evening you can enjoy jazz, reggae, folk, disco and soul performances. It's held in Hampshire, England, and a weekend pass including camping is £150. Thanks to Sam Katterfield, the senior editor of HolidayPirates (Europe’s leading travel search platform for great value holidays), for helping us curate this guide. Where's your favourite place for a relaxing break? Let us know in the comments or via Twitter!